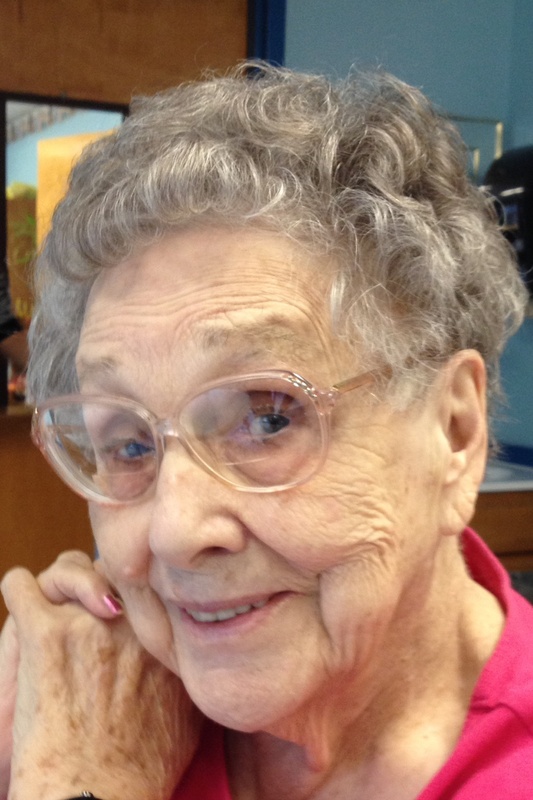 Margaret Helen “Betty” Dearing Hollander 96 of Huntingburg, IN. died May 22, in Evansville. Betty was born in Huntingburg on March 22nd 1922 to William and Flora Mae Wilson Dearing. She had five siblings, Lionel, Lucille, Lorene, Billy and Jim all now with the Lord. She married Ed Hollander on September 12th 1938 and celebrated over 72 years of marriage together, they had eight children; Patricia, Steve (Mary), David (Joyce), Timothy (Cindy), Cynthia Sibrel (Mike), Kimberly Licht (Kevin), Justin (Tracy) and Mary Betz (John). They were blessed with 22 Grandchildren, 20 Great Grandchildren and 4 Great Great Grandchildren. She worked at an Evansville plant during World War 2 producing radio tubes for fighter planes with her mother in law Lena Hollander. Betty was a model wife and partnered with Ed on six bakery moves with family in tow, to Minnesota, Iowa, South Dakota and finally to Huntingburg. They taught their children the bakery business to work hard, take care of people and be honest and ethical. Betty and Ed loved times with friends, family and relatives. Their neighbors, Roger and Maureen Kern were special people in their lives with their friendship and support. A Funeral Mass is planned for Friday May 25, at 10 AM CST at St. Francis of Assisi Parish, St Joseph Church in Dale, IN. With burial to follow in the church cemetery. Friends may call from 4:30 to 7 PM CST Thursday May 24 at the Fuller Funeral Home in Dale, IN. Memorial contributions may be made to the Dale Cemetery or The St. Joseph Church.